My husband and I just celebrated our 6 year anniversary! We got married January 19, 2013 and although we are not the perfect couple, we continue to say yes to our marriage. We met in college while there was no Instagram and AIM still existed along with killing time on Yahoo Games. Our first ever conversation together was through some scrabble game on Yahoo in a group game with mutual friends. We eventually met in person through those friends and found ourselves messaging each other through AIM which let to long chats and little excitements when I saw his screen name appear. I would say we were just getting close “as friends”, but eventually we started dating. After dating for over 4 years and figuring life out together as we entered into adult life after college. We booked our first week-long trip as a couple to Seattle. I secretly and totally expected him to propose to me during this trip. I had even mentioned to a few girlfriends that I was hoping for a proposal. Every day on the trip at any romantic moment, I was thinking in my head, this is it. And no it didn’t happen, until the morning of our last day and a few hours before our flight back home, he had woken me up on his knees with the ring. He said something on the lines of “let’s wake up together every morning forever” but all I had thought was, I probably look like a hot mess, just waking up. I didn’t realize that that was the closest to what marriage is really like. Being vulnerable and real with someone you love and accepting each other at the rawest moments. That is the love we work towards after 6 years of marriage. Our new 2017 collection is out and we're doing a giveaway with a lucky reader from Green Wedding Shoes. Check out our feature and enter to win a headpiece from our new collection! I had a lot of fun picking out the perfect lace trims for our new veils. These are all hand cut and sewn with high quality tulle and lace. This cathedral length veil is probably one of my favorites. We also have a few different styles, lengths, and a gorgeous blush colored veil available in our Veil section. We also have a few back necklace designs available. 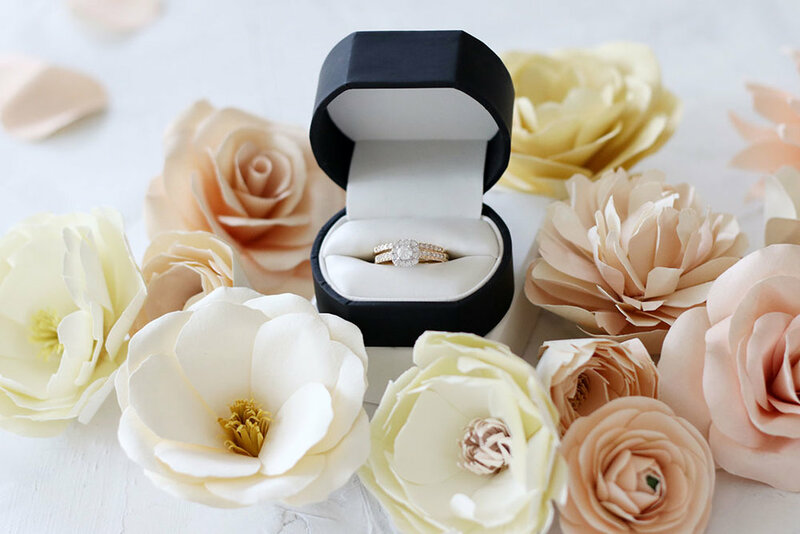 These are seriously the perfect little accessory for brides and their back detail! We also loved working with some of our favorite talented friendors, check out their work below! 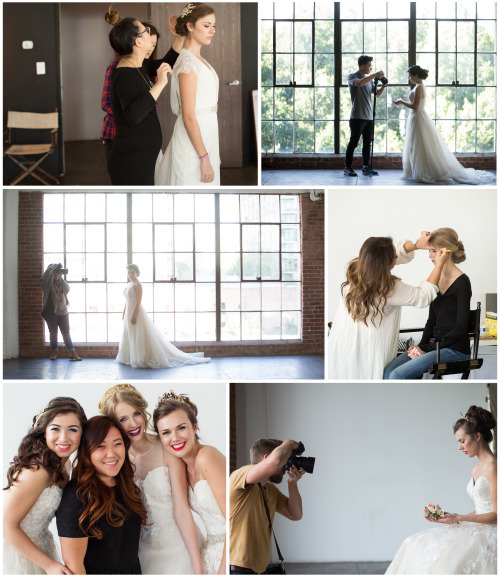 From calligraphy works to our amazing florist and our amazing videographer from the video above! We love them all! A few people have asked me about some tools and materials I use so I wanted to share what’s in my toolbox. First off, I absolutely love this canvas organizer tote bag I found on Etsy. I love that it stands on its own because most my tote bags would just fall when I place them on the ground so this bag is very ideal to take to a local coffee shop to do some light cutting, drink coffee with free AC, and people watching. In my bag (from left to right) I take my favorite Martha Stewart scissors. I like these scissors really because it’s white and gold but it does do its job also. I love the vintage sewing machine brooch I found thrifting. I also carry my measuring tape that I got from Daiso, if you haven’t been to one, you must go. Daiso is a Japanese $1.50 store so most things in the store is super cheap but extremely cute. They have plenty of crafting materials as well and probably a bunch of things you didn’t need but will discover you need them. I also have my fake glasses that I occasionally wear so that I don’t poke my eyes out with small wires I work with that flies everywhere. Lastly, I love any cute scissors that are gold and I always carry two scissors around just incase I have a friend who wants to help me. You may see me at a Starbucks working on random crafts, please say hi! Happy New Year everybody! I hope you all had an amazing holiday season and a great start to 2015. 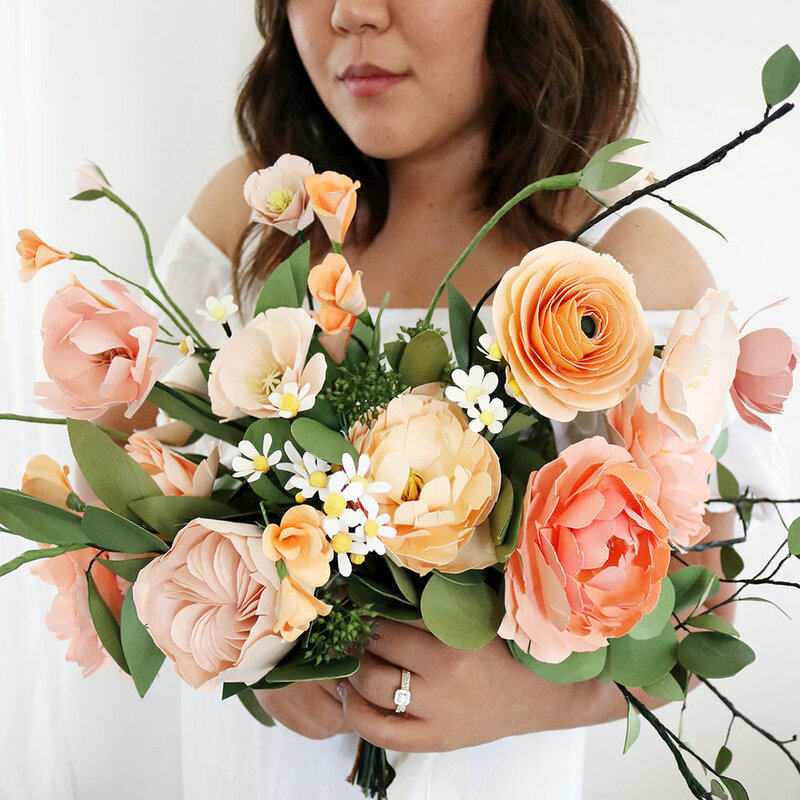 We’re so excited to finally see Anthropologie’s wedding line, BHLDN’s spring 2015 collection launch and we’re even more excited to see Handmadebysarakim in their collection! Our headpiece is now available at BHLDN. Oh, isn’t this gorgeous!!! The dress, shoes, flowers, chair, wall… and YAY, she’s wearing our headpiece! This is just too pretty! We’re so greateful we had the opportunity to work with BHLDN. We have personally been a fan of their store and styling! Now, seeing our headpiece in their new collection was a great start to 2015! Cheers! We’re so excited for our new collection, here’s a sneak peek! We are adding new colors, shapes, and lots of sparkle. Can you tell, we love gold… but don’t worry, we have a bunch of new silver looks too and we can always customize our pieces in silver. We are so excited to be working again with the lovely photographer Ashley Bee and a huge team of amazing wedding vendors. Can’t wait.